If you take a peek at XS’s Yelp reviews, you’ll see quite a few complaints from fellow club-goers just trying to make it inside the club. From bouncers sending people to multiple lines to getting stuck outside the club, the list of frustrations goes on and on. 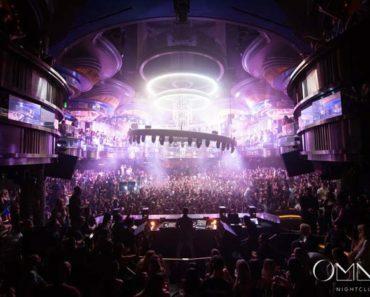 But, as XS is arguably the most popular club on the strip, it makes sense that some entry challenges will arise especially when it comes to the XS guest list. Now I’m not going to sugar-coat this: If you don’t know what you’re doing, taking advantage of XS’s guest list is hard if not an absolute nightmare. So to ensure you have a great experience, we’ve created a step by step guide to help you conquer the XS guest list. Let’s get to the steps. When the club is open, XS offers a guest list on most evenings. If you can get your name on the list, you’ll get into the club for free. No tip or ticket is required. Please keep in mind that not everyone is eligible to get on the guest list though. We’ll explain further coming up. How Do I Get On The XS Guest List? There are three ways to get on the XS guest list. 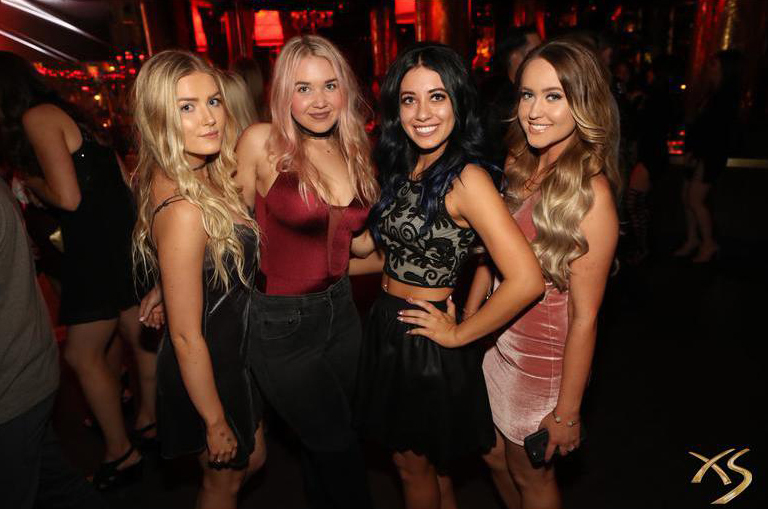 For those of you new to the Las Vegas club scene, an XS VIP host works for XS directly and is responsible for bringing women to the club and booking bottle service reservations. Promoters may work for the club directly or for many different clubs, but they differ in the fact that they’re only responsible for getting girls to the club. The easiest way to find an XS VIP host or promoter is to search on Instagram. Under the “people” tab, enter the words “XS Nightclub” or “XS Las Vegas.” A list of hosts and promoters will appear. Additionally, you can try searching on Facebook but, in our experience, Instagram has more results. 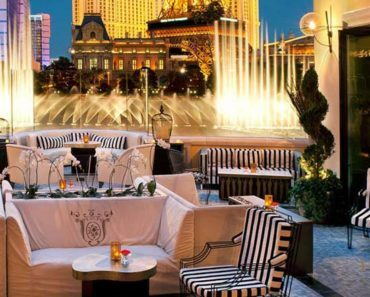 If you’re staying at either the Wynn or Encore hotels, give a call downstairs to the concierge, and they can put you on the XS guest list as well. In some cases, even if you’re not staying at the hotel, the concierge will assist with getting you on the list too. Keep in mind that being polite goes a long way in getting what you want. Once you contact a host, promoter or the concierge, they’ll ask for your first and last name. Make sure you give them the name that is on your ID. Slight variations are okay. For example, if your name is Jennifer, but you go Jenna. But if the first or last name that you give to the host is completely different from your ID it’s going to raise a red flag, and you most likely won’t get in. They’ll also want to know how many guests you plan on bringing with you so they can add this number next to your name on the guest list. For example, if you have five friends joining you then a “+5” will be entered on the list. Additionally, the host or promoter might ask what the ratio of your group is. The ratio they are referring to is the number of girls to guys. The higher the ratio, the more likely you’ll get on the list. For example, if you’re an all-girl group, then you’ll most likely get free entry. If you have an even ratio of girls to guys, then everyone may get in for free or they may require the guys to purchase tickets. It’s up to the club as to what they’re offering that night and it may depend on how busy it is. When Is The XS Guest List Available? The XS guest list is open almost every night the club is open. The only time the guest list wouldn’t be available is on big holidays like Labor Day or Memorial Day weekends. XS may close their guest list during these times because of how crowded it is in town. If you’re planning on coming on a big weekend, you can contact the club, a host or a promoter to find out if the guest list will be open during your stay. We always recommend getting to the club early during these busier times as the club can reach capacity quickly. What Is The Cut-Off Time To Get On The XS Guest List? To get on the XS guest list, reach out to a host or promoter before 7 pm on the night you want to go. We recommend the 7 pm deadline because list submissions are usually due to XS before club opening. Somewhere between 7 and 9 pm, the guest list will close and you’ll have to buy a ticket to get inside. On some nights, there are “late adds” available for people who miss the cut-off time. You’ll need to contact a promoter to see if this is an option. Who Can Get On The XS Guest List? Las Vegas guest lists were created to bring women to the club. The reasoning behind the guest list is this: The more ladies there are, the more likely guys are to come to the club and spend money on bottle service. Although the XS guest list is mostly for women, this doesn’t mean guys have zero chance of getting on it. It’s possible, but you’ll need to follow one simple rule: Arrive at the club with at least an even ratio of women to men. However, if you’re a group of guys and don’t have any women with you, it’s best to buy XS general admission tickets. XS won’t allow just a group of guys on their guest list. If you can, buy your tickets in advance because prices are often lower. You can purchase pre-sale tickets either online or through an XS host. For both ladies and gents, remember that being on the XS guest list does not guarantee free entry. Showing up too intoxicated, being rude to the staff or not adhering to the dress code are just a few reasons why a club may not allow entrance on their guest list. Once you’re on the XS guest list the next step is to make sure you get in the door. And as I just mentioned above, XS doesn’t have to let you in even if you’re on the guest list. XS is the cream of the crop when it comes to Las Vegas clubs, so you’ll want to look nice here. However, that doesn’t necessarily mean you have to wear a suit or a fancy dress. Button-up or stylish shirts, jeans, slacks, or suits are all perfectly acceptable. Go for a more fitted look (nothing too baggy). No hats except for fedoras and if there’s one thing to keep in mind, it’s this: shoes are the most important part of your attire. Wear your dress shoes, and you won’t have any problems. And no, you can’t wear Jordans. Sorry, guys. For guys’ XS Nightswim attire, the dress code is much more lenient. A shirt with swimming trunks and shoes is perfect. Even flip-flops are okay. Just don’t wear a wife beater as those are not allowed. If you’d like, you can also dress up on these nights as well. Women have it easier. You can pretty much wear whatever you want as long as you look presentable. The clothing options run the gamut. Dresses, skirts, pantsuits, jeans, rompers and even shorts with tank tops are all good options. Pair any of those with some heels or nice looking dress shoes, and you’ll be okay. The only thing I’ll say to avoid wearing is anything that’s see-through. If you’re wearing something that exposes you, don’t do it. You won’t be let in. For ladies’ XS Nightswim attire, swimsuits, cover-ups, and flip flops are great. You can also dress up in semi-formal attire. The choice is yours. But here again, just no see-through swimsuits although exposing your backside is acceptable. What Time Should I Arrive For The XS Guest List? On slower nights (weeknights or when there’s a lesser known DJ spinning), XS’s guest list opens at 10:30 pm. For these nights, it’s okay to arrive anywhere between 10:30 and 11:00 pm. On the busier nights like when The Chainsmokers are performing or on holiday weekends, XS will open it’s guest list early around 10:00 pm. During these more hectic times, we recommend arriving at 9:45 pm as the club fills up fast. Additionally, XS is known to close its guest list early on the most popular nights. Even if you’ve been in line for over an hour, the guest list can close, and you won’t be let in. So get there early! XS has three lines to get into the club: a table (bottle service) line, general admission (tickets) line, and a guest list line. If you get in the wrong line, you could potentially waste a lot of time and even miss the guest list entirely if it closes. Remember that the table reservation and general admission lines are in front of XS Nightclub. However, the guest list line is NOT in front of the club. Where Is The XS Guest List Line Located? To find the XS guest list line you’ll enter the Encore hotel through the main valet entrance. (Note that there is an entry to the club in the parking garage as well, but you don’t want to go here). If you’re getting dropped off, tell your driver to take you to Encore’s main entrance. Walk through the lobby (you’ll see Encore’s main pool in front of you) and take a left. (Going right will take you to the Encore hotel front desk). Continue for approximately 100 feet, and XS’s guest list line will be on your right. You’ll see signs as well so don’t worry. You really can’t miss it. How Long Does It Take To Get Inside XS? Wait times to get into the club vary depending on the night. If it’s a more famous DJ or it’s a weekend, then expect to be in line for a while (possibly an hour or more). It’s a good idea to treat the XS employees with respect too as they have frequently been known to kick people out for rudeness. When you get to the front of the line, an XS employee will check your name off on the guest list and the number in your party. Make sure that the number of people you are bringing into the club matches what you told your host or promoter. Once you check in, you’ll go through security. Here’s where we get a ton of questions. Specifically, we get asked time and time again what people can and can’t bring into the club. Now there’s no set rule on this exactly. What Can I Bring To XS? If a club suspects you’re up to no good, then they can confiscate whatever they like. For example, we’ve seen perfume get taken, sealed Tylenol thrown away and even IDs held for hours… the list goes on and on. To prevent any issues don’t bring in anything that may be considered a drug. All Vegas clubs have a zero-tolerance policy, and XS is no exception. And you can’t smoke weed either. Yes, it’s legal in Nevada. However, it’s not permitted in the clubs. Just don’t do it. You’ll get thrown out. The only exception to this rule is if you require a life necessary medicine. But here again, it’s up to management’s discretion as to whether you can bring it into the club with you. If possible, your best bet is to leave it in your room. From my personal experience, I haven’t had any problems bringing in some makeup. I like to bring foundation, powder and lip gloss. However, I have found that it’s better to keep these items in their original packaging rather than transferring them into unbranded, smaller containers. This happened to me once at XS. I was innocently just trying not to carry so much in my purse, so I put everything in smaller containers. Bad idea. XS wasn’t too thrilled, and I got questioned at the door. Luckily, they let me keep it. Also, feel free to bring your phone, charger, ID and even your fold-up flats. Just bring your wallet (with an ID of course), your phone and maybe a phone charger. That’s all you need. Lastly, if you have any questions about IDs and you’re coming from a foreign country call the club before arrival to make sure you have the necessary documentation. There are quite a few reports about XS not honoring some IDs, so it’s best to check before you go. Unfortunately, on some nights, the XS guest list may only get you access to the outside pool area. (XS features both an inside area called the main room (this area houses the DJ and dance floor) and an outside pool area). On the busy nights, XS’s main room is reserved for bottle service guests, ticket holders, and attractive women but NOT guest list patrons. However, this doesn’t mean you can’t get to the main room. It’s possible; you’ll just have to wait in line to do so. You can easily tell if they’re letting guest list people in the main room simply by walking up on either side of the DJ booth. There you’ll see bouncers guarding the entrance to the main room. If they’re not letting guests into the main room, then you’ll need to wait in line. Eventually, the club will open up the indoor area to the guest list, and the bouncers will let some people inside. It may take some time though. Plan on at least an hour of wait time. We always recommend getting in line for the main room as soon as you get through the guest list check-in. The earlier you get in line, the better your chances are of making it inside. Now if you’re lucky enough to get inside be sure to stay there. Somewhere around 12:30 or 1:00 am the club will reach capacity, and they won’t let anyone into the main room. That goes for people who purchased bottle service, ticket holders, and hot women. There isn’t anyone getting through the ropes when the club is at capacity. If you don’t want to wait in line for the main room that’s perfectly fine. Just know that you won’t get to see a lot of the DJ as they mostly spend their set performing to the people in the main room. Las Vegas clubs operate similar to a concert – there’s always an act that comes on before the main event. The same setup holds true in Vegas clubs. There is a warm-up DJ that plays music before the main DJ comes on. And this may or may not be the same genre of music as well. For example, at a recent night at Marquee, the warm-up DJ played hip-hop, and the main DJ was all about EDM. When Does The DJ Come On? At XS, the main DJ comes on around 1:30 am. This may come as a surprise to a lot of club-goers. Often, people are under the impression that the main DJ plays from club opening to club closing. However, this is not the case. Because of this misconception, we hear a lot of complaints from club-goers spending money on a ticket or bottle service, arriving early and then having to wait three hours just to see the main event. So it’s important to know that the DJ isn’t going to come on until 1:30 am. And like I mentioned above, don’t leave the main room if that’s where you want to be. After a certain time (1:00 am), they won’t let anyone in the main room if it reaches capacity. Even though the main DJ doesn’t come on until 1:30 am, whatever you do don’t show up to the club late. On the busy nights, you most likely won’t get in and you’ll miss the event entirely. If you’re in the main room, head to the dance floor to get up close and personal with the DJs and other clubbers. Be careful to guard your purse and pockets too. A lot of clubs on the strip have had problems in the past with theft especially cell phones getting stolen. And try not to wander near the tables either. The booths are for bottle service reservations only, and unless you get an invite to a table, it’s best to steer clear. Further still, the tables are guarded by bouncers, and their job is to make sure that there are no unwanted guests around. In the outside area, you’re free to go wherever you’d like except here again try and stay away from the bottle service tables and cabanas. Can I Leave XS And Come Back? A lot of times folks will leave and think it won’t be a big deal to get in the club again since they have a stamp from the guest list check-in. Keep in mind that it’s entirely up to the club as to whether or not they’ll let you back in. If XS has reached capacity, you’re out of luck. And even if they haven’t, and they suspect you’re doing something illegal, they can turn you away at the door. Also, if you exhibit rude behavior, they may not let you back in either. Your best course of action is not to leave. We recommend bringing everything with you that you’ll need for the night as well. We never suggest going out and coming back in unless it’s an emergency or you’re okay with the possibility of not getting let back in. How Late Is XS Nightclub Open? XS Nightclub is open until around 4:30 am. The other question: is a GoPro camera allowed inside? 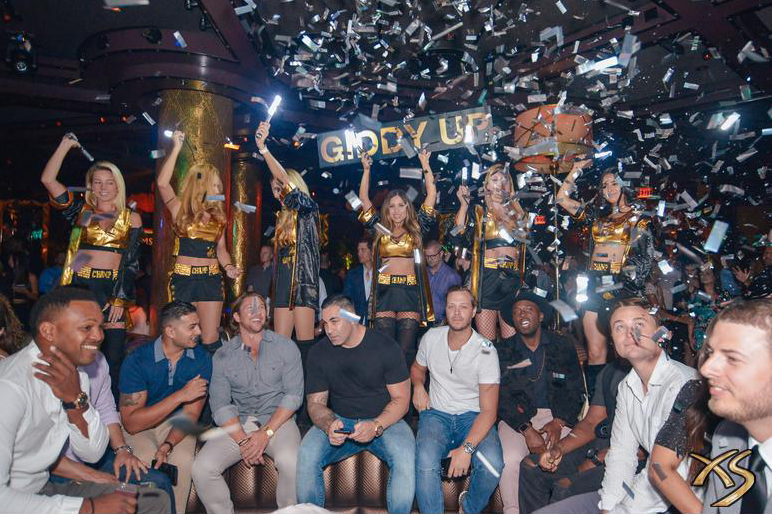 With a general admission ticket, you don’t need to buy a table at XS Nightclub. You’ll have access to the entire club including the pool area. Just keep in mind that seating is reserved exclusively for bottle service guests. Unfortunately, no GoPro cameras are allowed.